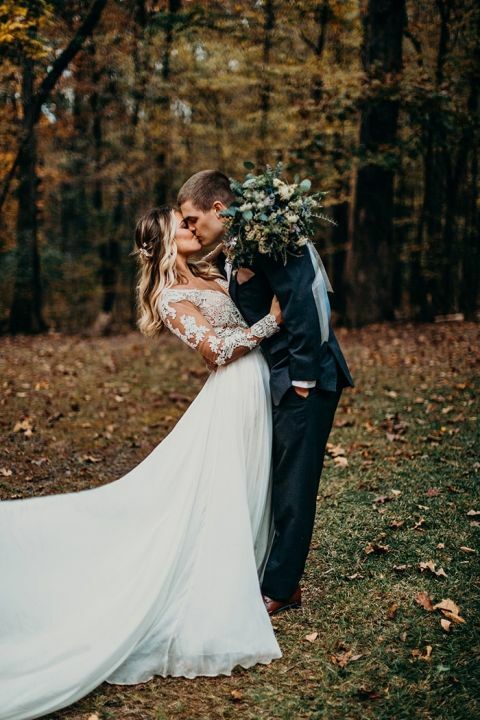 Riley and Jordan’s winter woodland wedding is what boho bridal dreams are made of! 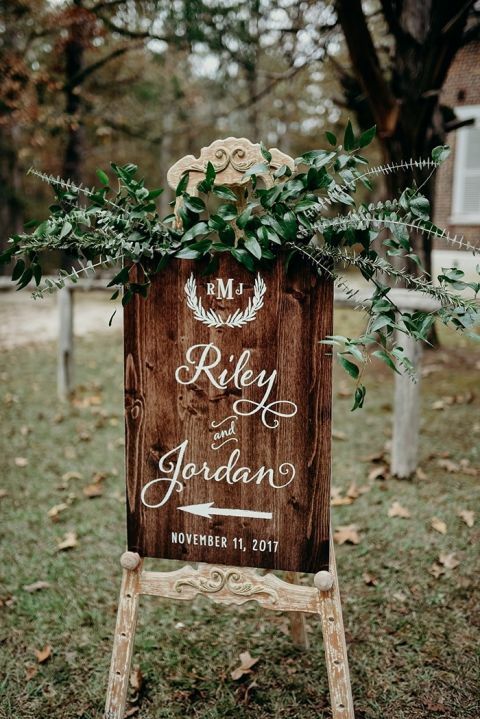 They had an utterly enchanting wedding in the forest outside Old Kiokee Baptist Church in Appling, Georgia. 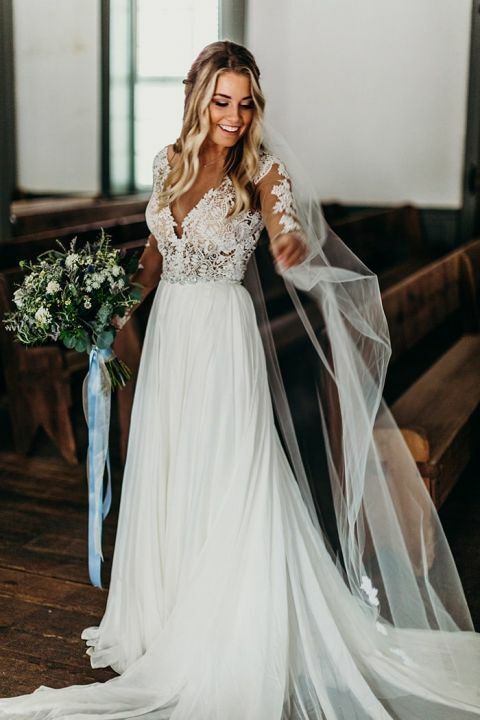 Their magical outdoor ceremony in the winter woods inspired a rustic bohemian style to their wedding, including the bride’s long sleeve lace dress, greenery bouquet, and lowkey style! 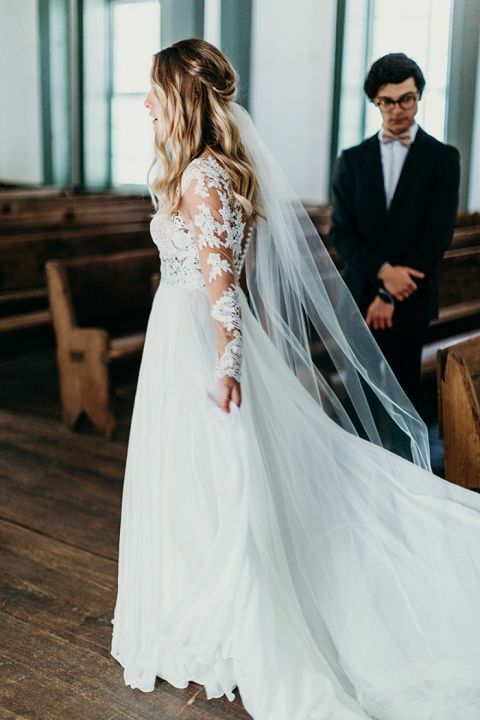 Georgia Miller Photography’s moody and elegant style was the perfect fit for their breathtaking wedding day!